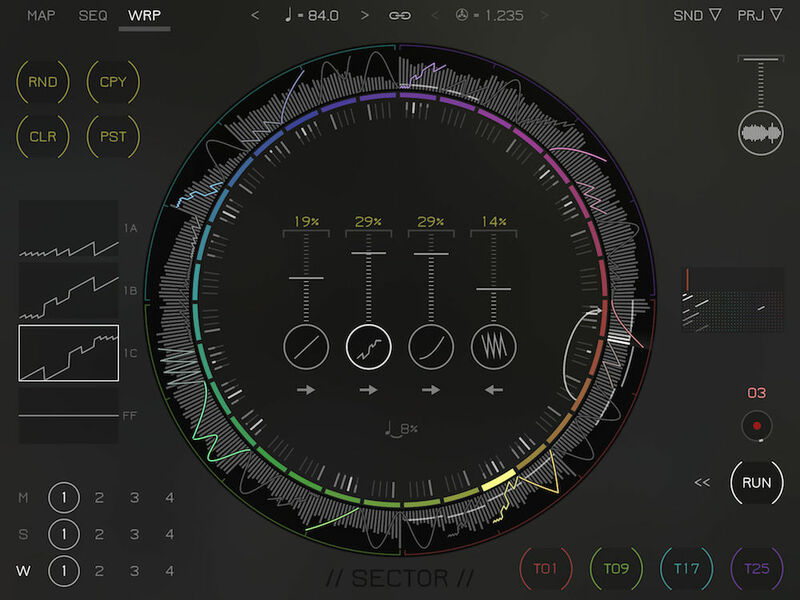 Stochastic Sample Slice Sequencer with markov-chain matrix, probability patterns and time-bending warp functions. Greetings Earth! We come in peace. And time-warping glitches. Innovative, beautifully designed and easy to use. 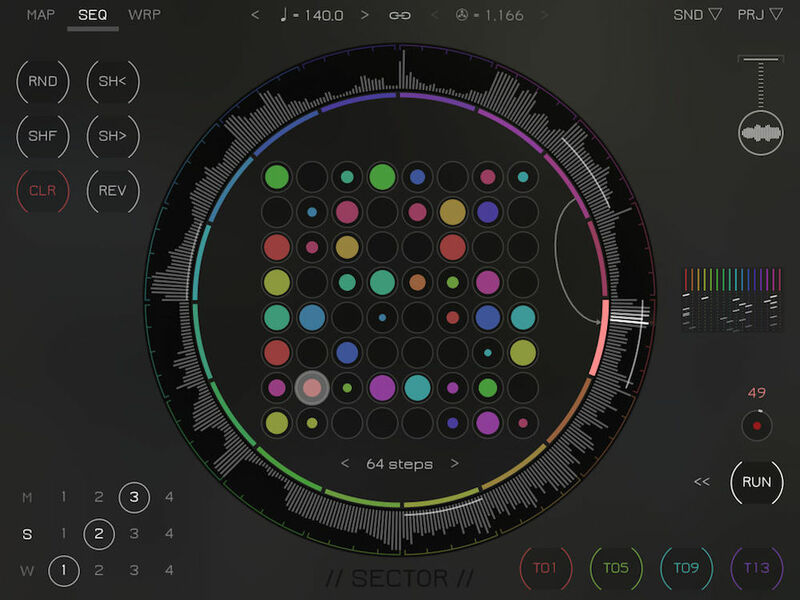 The best sequencing app I've used on the iPad. 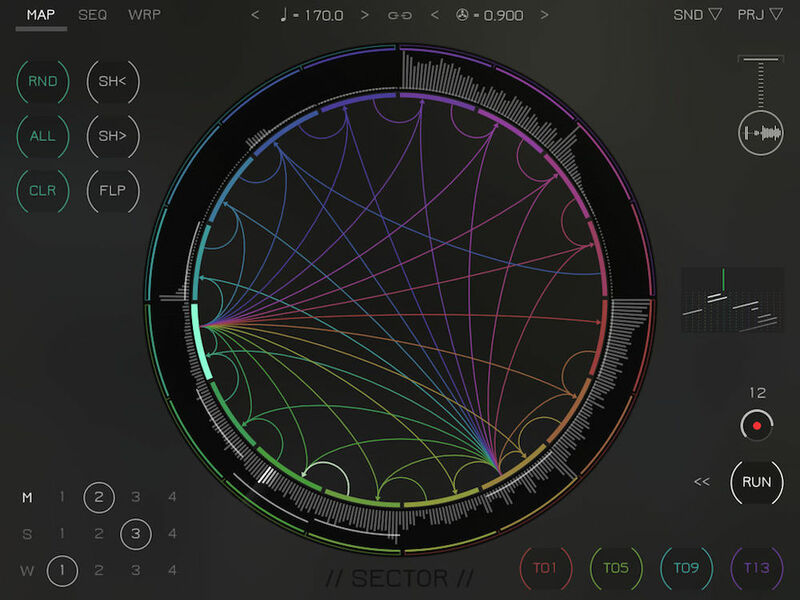 The interface is incredible. The possibilities are endless. Don't do it, if you have plans for the rest of the day. Once your in the grove, you can't stop. For an in-depth review, see this post on MusicAppBlog. Please post questions and feature requests at the forum. 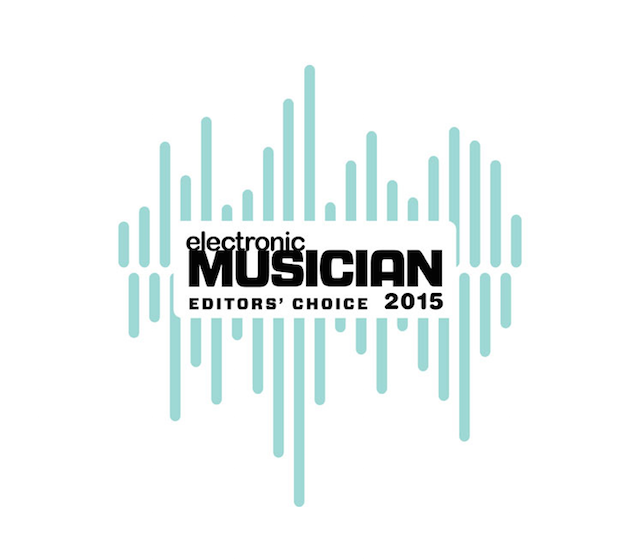 SECTOR has won a 2015 Electronic Musician Editors’ Choice Award! Check out the February 2015 issue of Electronic Musician.